Burberry launches its annual holiday campaign with a new film called, ‘Close Your Eyes and Think of Christmas’. 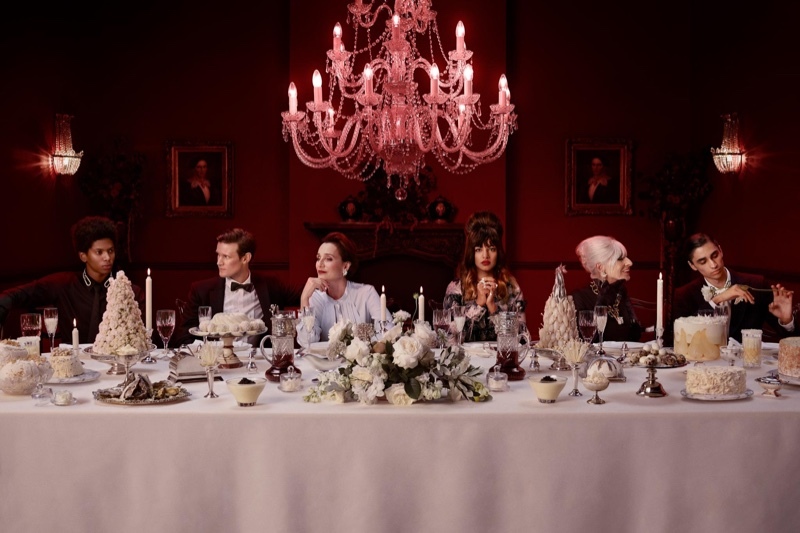 British artist Juno Calypsodirects the advertisement which stars Naomi Campbell, M.I.A., Kristin Scott Thomas, Valerie Morris Campbell and Matt Smith. The 90-second video looks at Christmas rituals and traditions through a modern lens. Part eerie and part festive, the Burberry check and new logo takes the spotlight as well as pieces from the upcoming Vivienne Westwood collaboration.